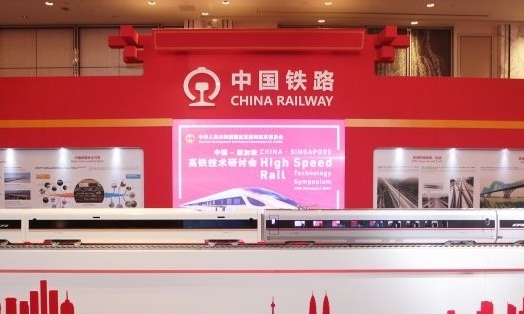 SINGAPORE: The Chinese authorities made a strong pitch for the Kuala Lumpur-Singapore High Speed Rail (HSR) project on Friday (Nov 17) at a symposium, as they highlighted China’s strong safety track record, advanced HSR technology and top HSR speeds. In particular, they pointed to their experience and technology in operating an HSR network in a tropical climate. At the full-day conference held by China’s National Development and Reform Commission, its vice-chairman Ning Jizhe indicated the intent to take part in the tender, which is expected to be called by the end of this year. Operations for the HSR are slated to start by 2026. China’s HSR construction costs would be less, about two thirds of that in Japan and Europe. Just a few months earlier, Japan — another contender for the Kuala Lumpur-Singapore HSR project — held its own symposium here in August, which was attended by representatives from India and Taiwan. Japan also plans to take part in the tender. On Friday, Mr Ning emphasised China’s experience in operating the only tropical round-island HSR network in Hainan island, adding that China has also formulated the HSR technology standards for tropical climates. Mr Ning also spoke of China being top in the world when it comes to operating an HSR network in many aspects, and it has the world’s longest HSR network. He said that China has the “best safety record”, with the “highest standards in terms of safety operations”. Its speed of 350km/h is also the top HSR speed in the world, he added. China’s HSR construction costs would be less, he pointed out — about two thirds of that in Japan and Europe. Other officials from China Railway and the National Railway Administration of China were also present at the conference. Ms Liu Yan from the National Railway Administration of China highlighted the environment protection measures that its HSR has rolled out. For instance, efforts are taken to protect water quality at areas along the HSR lines, along with energy-saving measures. The technological innovations deployed by China’s HSR were also discussed. For example, the authorities are using artificial intelligence to locate and even forecast problems, in a bid to eliminate them pre-emptively. Behaviour of passengers could also be analysed, so that service staff members can make recommendations.